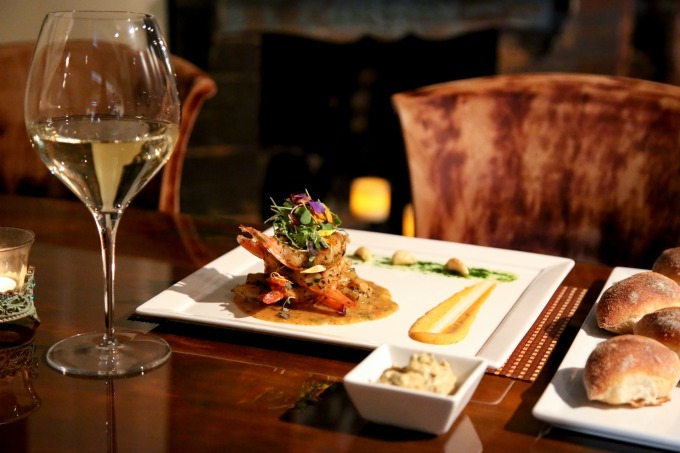 These recently opened local eateries offer diverse cuisine and a global ambience. Below, we’ve rounded up a few of the establishments that have helped to bring a plethora of fresh and culturally diverse menu items to town within the last year, adding to the area’s thriving and constantly evolving culinary scene. Start at any one of these dining destinations and work your way through the list for a trip around the world—no passport necessary. Moulin, a French-style bistro that opened its doors in September. (Right) Moulin’s made-to-order crepe station. Stepping into Moulin feels a lot like entering a charming little Parisian cafe. And that makes sense, since owner Laurent Vrignaud was attempting to re-create the atmosphere of a classic French bistro when he first founded his eatery, which now has two locations. 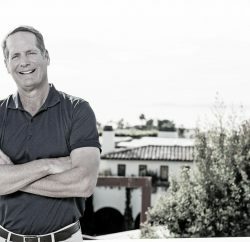 The first Moulin opened its doors in 2014 in Newport Beach, while the second iteration made its Laguna debut this past September. The bistro was named by Vrignaud’s mother, who chose the word “moulin,” which means windmill in French. The moniker is a nod to the windmills that dot the landscape of the Montmartre district in France, the site of Vrignaud’s childhood home. The eatery, which offers alfresco seating out on its patio area, perfectly captures the design of a French bistro—but the food is where the restaurant really shines. Vrignaud wanted to bring a little piece of France with him to California when he moved to the state in the 1980s, and the menu is a reflection of that desire: Dishes include classic items such as traditional baguettes, eclairs and other pastries, French onion soup and assorted cheeses, as well as coffee beverages like cafe au lait. 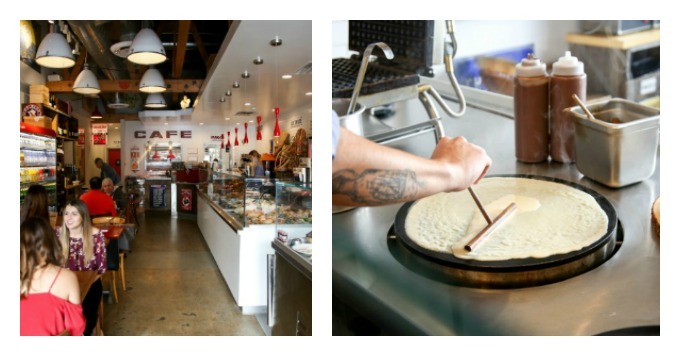 Try this: The cafe’s French crepes and liege waffles, available at a made-to-order station exclusive to the Laguna Beach location, are a must. For the crepes, choose from Nutella, sucre-citron (sugar and lemon), apricot or strawberry flavors. And both the crepes and the waffles are best paired with a chocolat chaud (hot chocolate) or, in the afternoons, a glass of wine or Champagne for a bit of French flair. Rasta Taco combines Caribbean, American and Mexican influences. Jamaica inspired the 220-square-foot eatery. What do you get when you combine Caribbean, American and Mexican influences? Rasta Taco and a mouthwatering, one-of-a-kind menu. Owner Mario Melendez was inspired by his travels through Jamaica and cobbled together much of the eatery’s concept and menu with ideas scrawled down on napkins. 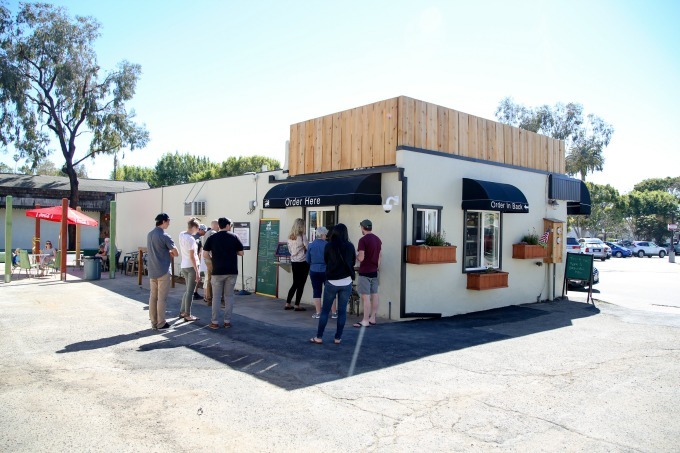 Now the 220-square-foot eatery boasts a menu bursting with flavor—all with a Laguna spin. Try this: While the eatery’s menu is distinct in that all of the dishes, which include staples like burritos, tacos, and chips and guacamole, are universally popular, Melendez points to the new vegan flash-fried Brussels sprouts as one standout dish. The healthy, yet tasty, menu item also comes with a side of cilantro aioli. Another Kind Cafe opened its doors on Laguna Canyon Road in late 2016. The eatery offers Vietnamese staples like pho, a broth- and noodle-based soup. Laguna Beach has long lacked a great Vietnamese eatery—but no longer, thanks to the debut of Another Kind Cafe, which opened in late 2016 on Laguna Canyon Road. The restaurant’s menu is dotted with Vietnamese must-haves like pho (broth and noodle-based soup), cha gio (egg rolls), and goi cuon (spring rolls), as well as Vietnamese iced coffee, which is made with sweetened condensed milk and extra-strong ground coffee, and jasmine milk tea. Specials include Thai fried rice paired with crispy pork belly and a stir-fried chicken dish served with organic jasmine rice. The eatery, which calls itself a “crossed culture canteen” also boasts breakfast options like spicy Spam musubi, avocado toast and quesadillas with pork belly or pulled pork for a true mash of cultural influences. Try this: You haven’t had real Vietnamese food unless you’ve tried pho, a staple of the Southeast Asian country’s cuisine. Another Kind Cafe’s version boasts either chicken or beef as well as fresh basil, sprouts, chilies, lime and chili sauce. Taverna Pizzeria and Risotteria evokes the feeling of a traditional Italian eatery. The cappelletti Romagnoli is a standout pasta dish. Part of the Dallas-based Lombardi Family Concepts, a company founded by restaurateur Alberto Lombardi, Taverna Pizzeria and Risotteria evokes the feeling of a cozy, traditional Italian eatery. Opened in March 2016, Taverna’s menu features dishes created with seasonal ingredients and is heavily influenced by Romagna, Italy, from which Lombardi hails, as well as other towns and cities in the northern region of the country. The eatery’s flagship offering is its risotto, which is available in four different entree variations, including burrata and shrimp options. The risotto dishes are all made with carnaroli rice, known for its ability to maintain its firm texture and shape during the long cooking process. Other Taverna standouts include a margherita pizza, veal chop, charred octopus and desserts like the house-made cannoli and risotto pudding brulee. Try this: The cappelletti Romagnoli comes highly recommended by Taverna staff because the dish is so emblematic of Romagna—in fact, the pasta is a staple in the area. House-made and then stuffed with mouthwatering ingredients like prosciutto, sausage, ricotta and Parmigiano-Reggiano, the pasta is then topped off with Bolognese and a touch of cream. Boba Me Baby offers flavored drinks mixed with tapioca pearls. 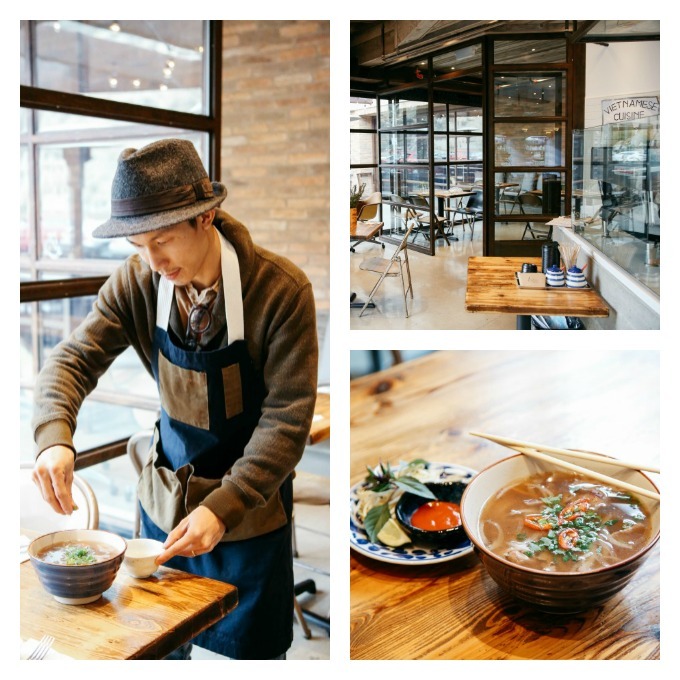 The Taiwan-influenced eatery opened in August. Boba tea, a sweet beverage mixed with tapioca pearls, originated in Taiwan. Today, it’s available locally thanks to Boba Me Baby, which opened its doors in Laguna Beach in August 2016. The cafe offers a wide range of flavored drinks, from coconut milk tea to blended, coffee and specialty beverages like The Monkey, made with chocolate and banana. A variety of boba drinks are also available, including “popping” varieties that burst in your mouth, unleashing added flavors. 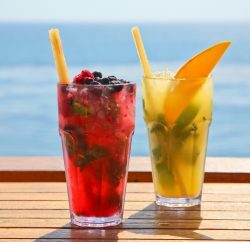 You can also order your drink with jellies, ranging from strawberry to coffee and aloe vera. If you’re looking for a snack to pair with your drink, turn to the cafe’s waffles, which come in flavors like peanut butter and jelly, Nutella and banana or butter and syrup—all of which pair perfectly with the eatery’s sweet beverages. Try this: For a true boba experience, order one of the iced milk teas—almond and taro are both classic flavors—and ask for the regular-sized boba pearls. You also can’t go wrong with a lychee or mango fruit tea, which are made even tastier by adding the various jellies or popping boba flavors. Roux Creole Cuisine will officially open its doors in April to offer dishes like Shrimp Yvonne, a play on New Orleans’ classic barbecue shrimp. Bringing the Big Easy to Laguna Beach, thanks to a menu stocked with New Orleans classics, Roux Creole Cuisine is one of the latest culturally diverse eateries to open its doors in town. 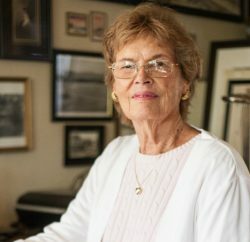 Many of the restaurant’s dishes are inspired by chef Norm Theard’s mother, Yvonne, who taught her son about Creole cuisine and who learned to cook from her own relatives—though she was widely considered the most talented chef in the family. Theard, who comes from a long line of cooks, has crafted a finely tuned menu that’ll make you feel as if you’re dining right in the French Quarter of New Orleans. As for its moniker, Roux was inspired by a classic Creole ingredient of the same name, which comprises equal parts fat and flour cooked together and is used to make and thicken sauces—particularly those sauces used in traditional French cooking. Try this: Shrimp Yvonne, a popular house specialty named after Theard’s mother, is a play on New Orleans’ classic barbecue shrimp and uses a unique blend of “momma’s secret spices.” Theard creates the dish—which bears no similarity to American barbecue—by searing large Gulf of Mexico shrimp, and then adds a rich stock of blonde butter, roux, Italian parsley, green onions and spices. A pile of French bread is served alongside the entree to help soak up every last drop of the succulent sauce for which it’s known.